Frustrated over pests that keep coming back into your property? Familiarise some factors that might come into play. Trusted Pest Management is now HACCP Accredited. HACCP is an international recognised food management system. Pest infestation is one of the significant problems that brought great devastation and fatalities among properties and people. This occurrence is one of the factors causing health problems, disease outbreaks, and even costly structural damages. However, how do you control or at least prevent pest infestation? Pest infestation happens when there is access: possible entry points that allow pests to sneak in. Along with it is the possible attraction from available resources such as food, water, moisture, and even humidity. These resources are essential upon the reproduction of pests and the continuity if their species. Also, pests can reproduce because there is food. However, let us say you have been keeping your place secured, yet still, these little critters always get their way into your house. It’s time to know the factors which might have been the reason pests keep coming back to your property. Your property location might be to blame when you feel like infestation is unending. Take time to examine your area. Are you located near old buildings, not up-to-date regulation-wise? Alternatively, near parks, or restaurants? Are you situated on the ground floor of your apartment building? Situations like these could greatly matter. It is something really to blame. While living in these areas, expect pests to be insanely frequent, especially when you have poor pest preventive maintenance at your property. Old buildings, for example, have a lot of hidden corners and cracks that allow pests to get in. Parks are no exception. 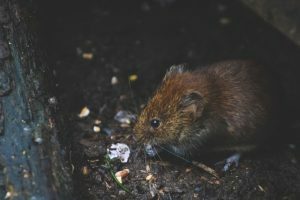 Rodents like mice and rats tend to burrow into the ground to build their nests, and parks have all the land and plants that aid them in their reproduction. In search of food, pests would start climbing into the first property nearest to their nests. At restaurants, when there is improper disposal of waste and dumpsters lying open around, pests can be insanely rampant. If you’re in a situation as mentioned above, it’s time to call a pest control professional for a pest inspection. Clutters in the house are highly attractive to pests, because it allows them to move in, and infest without being seen. Crowded areas provide pests a perfect hideaway. Take time to organize things at home. Get rid of clutter before the infestation begins. The same goes with clutter in the house; poor sanitation is the reason why pests attack in the first place. Improper waste disposal, uncleaned spills, unattended leftovers provide an excellent attraction for pests to sneak in. To avoid attracting pests, always make sure you leave no food crumbs on the floor, wipe off spills, clean your pet’s bowl, store food in closed containers, and more. How Bad Can it be when Infestation was uncontrolled? The amount of infestation can be devastating if found too late. An outbreak needs to be addressed the soonest time possible. In the event of pest infestation in your area, NEVER hesitate to call a pest professional for help. The common problem often faced is that residents tend to solve a pest infestation on their own. It can be risky, considering some treatments can be potentially hazardous to health, even handling the wildlife itself. Some infestations need thorough pest inspection and appropriate pest treatment that does not jeopardize the safety of family members, their pets, and even nature as well. That’s why at TPM, we strictly follow Integrated Pest Management (IPM) practices to ensure all our pest control procedures adhere to the standard and eco-friendly pest removal. Also, pest (or wildlife) relocation is always part of our method. Observing preventative pest maintenance, we perform recommended pest-restraining installations, fix damaged property parts (caused by pests), and repair and seal entry points. All our services are available across Queensland, Brisbane, and Sydney. Call us for a free pest inspections Brisbane today! Summer Pests: Snake Plague in Australia and How to Manage it? We will discuss your pest problem, schedule an appointment and provide a quote and recommendations. Our state certified pest specialists will come to your home or business and provide treatment. We'll make foll-ups as and visits as you require to ensure your problem is resolved. Trusted pest Management – trusted by name, trusted by nature!